The papers of Robert Ernest Spiller were donated to the University Archives by Robert Ernest Spiller in April 1978 (accession number 32-78) and by an unknown donor on an unknown date prior to or during 1977. The Robert Ernest Spiller papers are organized into three series – Professional File, Correspondence, and Course Material – each of which is arranged alphabetically. 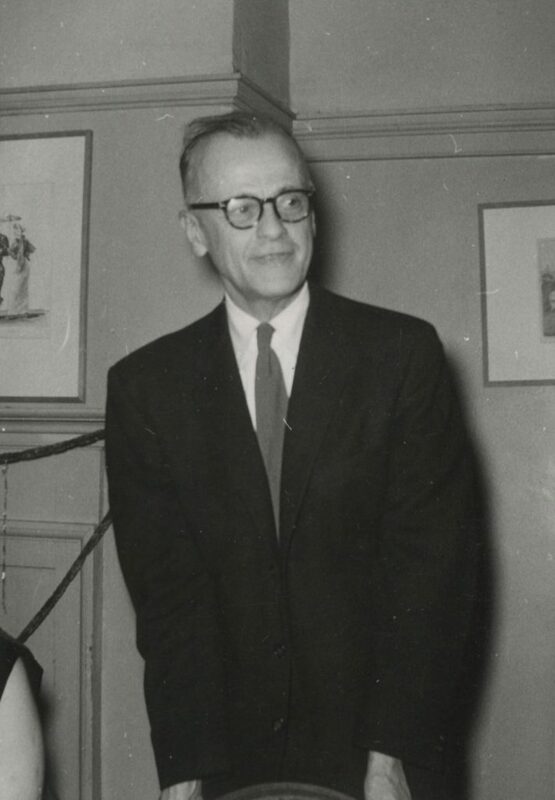 Robert Ernest Spiller was a Professor of English at the University of Pennsylvania from 1945 to 1967, acting dean of the Annenberg School of Communications from 1963 to 1964, and pioneer in the study of American literature. He was born in Philadelphia, Pennsylvania on November 13, 1896 to William Gibson Spiller and Helen Constance Newbold Spiller. After graduating from the Phillips Brooks School in 1913 he entered the University of Pennsylvania where he earned a B.A. in 1917. After graduation he served with the University of Pennsylvania Medical Corps during World War I. Afterward, he returned to Penn to complete his graduate work, earning an M.A. in 1921 and Ph.D. in 1924. From 1920 to 1921 Spiller served as an Instructor of English at the University of Pennsylvania. He then joined the faculty at Swarthmore College as an Instructor of English and was promoted to Professor of English in 1934. He returned to the University of Pennsylvania in 1945 as the Felix E. Schelling Professor of English, a position he held until 1967 when he was named Professor Emeritus. The Cycle of American Literature (1955), which was translated into fourteen languages. American Quarterly. He was also chair of the Department of American Civilization at the University of Pennsylvania. Robert Ernest Spiller married Mary Scott in 1922 and had three children: William Scott, Constance Newbold (Mrs. T. J. Johnston), and Mary Miles. He died on August 24, 1988, survived by his second wife, Anna Moss Wright Spiller, whom he married in 1975, and his eldest daughter. The Robert Ernest Spiller papers are all professional in nature and document his function as a Professor of English at the University of Pennsylvania as well as his involvement with numerous other professional and academic organizations. This documentation includes syllabi and notes for courses he taught, reports and memoranda generated from his professional associations, and correspondence from students and colleagues from the University of Pennsylvania as well as with colleagues from the organizations he was involved with.